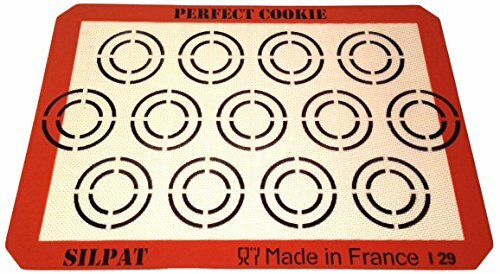 The Silpat Perfect Cookie Mat makes perfectly uniform and perfectly spaced cookies every time. The inner circle is the guide for the size of your dough and the outer circle represents the size of the final baked cookie. Cookies bake evenly and slide right off the pan without using oils or parchment paper.